Available in Titanium, Ceramic and Carbon PEEK. Surface roughened titanium and porous ceramic improves osseointegration. Rounded tip and low profile head. Sockethead allows use of standard hex driver. 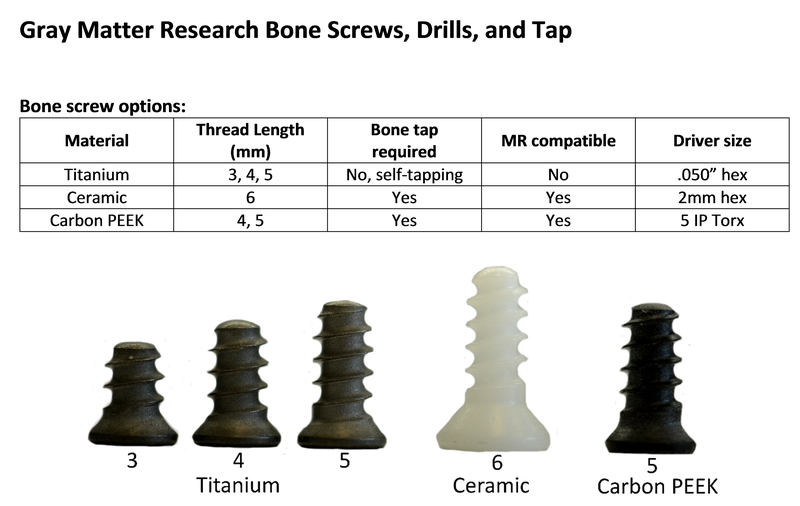 MRI compatibility with ceramic and carbon PEEK versions. 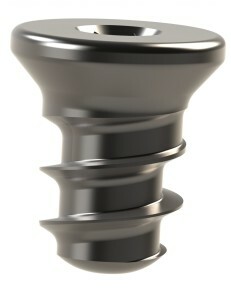 New Torx head design for carbon PEEK screws to allow increased torque.